Our health system has big problems, but…. These graphs show some pretty impressive progress. 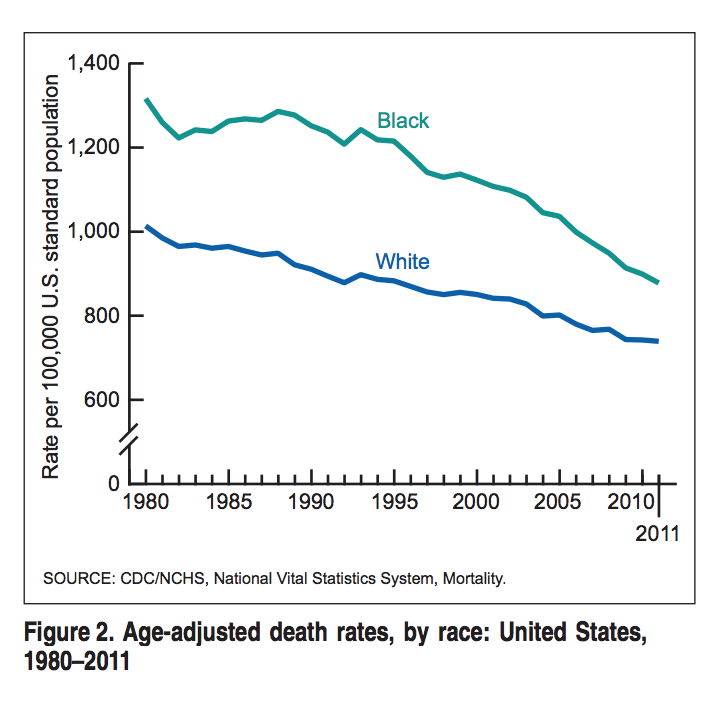 The most recent national vital statistics mortality dataÂ shows remarkable continued progress in overall age-adjusted mortality rates, alongside impressive narrowing of both black-white and male-female gaps in life expectancy. Moreover, I suspect progress will continue in the more recent data, given impressive data on health system quality improvement and expanded health insurance coverage in the Obamacare years. We shouldn’t be spending 17%-plus of our GDP to get these outcomes. It’s still the best 17-plus% of GDP we spend. Longer life spans present some challenges for society, but even so life expectancy is the monarch of social indicators. So long as it is rising, we as a society are doing some things fundamentally right, as are most countries. 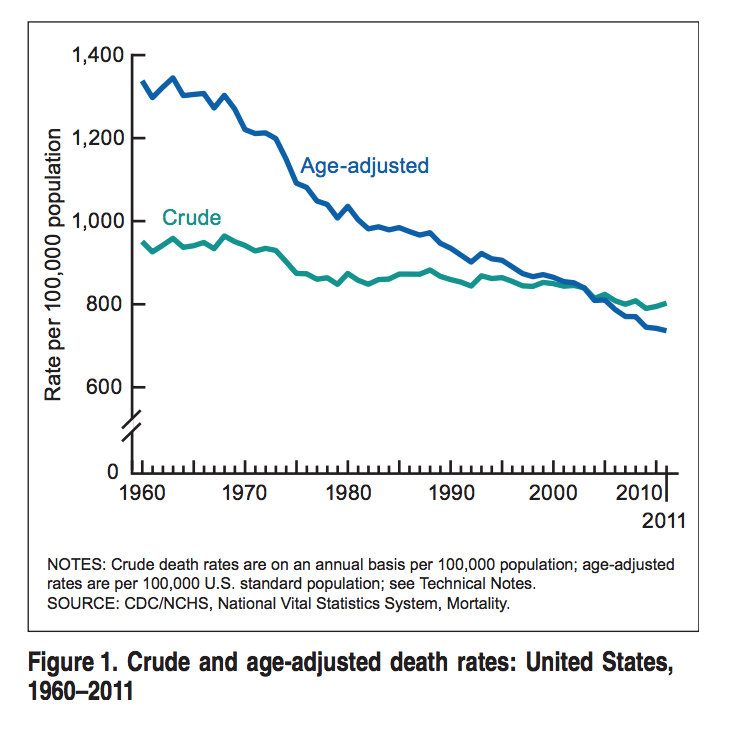 What makes life expectancy a good policy indicator is that it incorporates death rates at all ages. That is also what makes it profoundly misleading for individual and collective planning. A baby born today can expect to live to 90 if things don’t go south from climate disruption, much less if they do. It makes no sense to take an average of a bimodal scenario. I'd have to go with infant and childhood mortality. 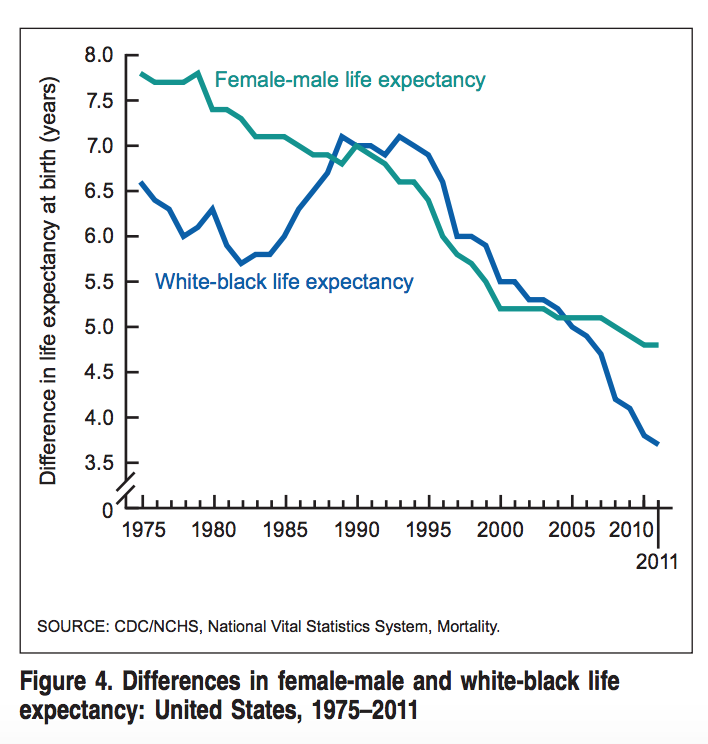 As Mr. Wimberley points out below, life expectancy is a mean. Ecclesiastes said three score and ten years are the days of our lives, and we've only bumped that up by eight years or so over the intervening three millennia. But walk through any 19th century graveyard, and the improvements in our country's childhoods is dramatic — you never see gravestones anymore with 6 or 8 children dead by age 4.